The critics all agree… Domaine Marc Roy is making some of the finest and exciting Gevreys around. They are something of an insider’s secret amongst Burgundy geeks. The Domaine only owns 4ha of vines, so these wines are not commonly seen here until WEA took the challenge of bringing them in. The quantities produced are very limited so you rarely see them in the secondary market too. Like they say – once gone forever gone. If you are new to us, briefly some back story. Alexandrine (daughter of Marc Roy) took over the Domaine in 2003 and the wines have never looked back. The most interesting thing about this Domaine is that they produce only villages-level wines. All reds from Gevrey and a lone white from Marsannay. The reds comprises of a basic old vines cuvee, two single vineyard cuvees (La Justice and Clos Prieur) and finally the very interesting flagship Cuvee Alexandrine made only from shot berries (tiny concentrated grapes) from six parcels. The signature of the wines are the transparency, drinkability and the gorgeous aromatic profile. These are wines which outperform their humble origins and can be broached young. The single vineyards are often mistaken as Premier Crus and the Cuvee Alexandrine beats many Grand Crus in blind tastings! These wines are not for label-drinkers – no Grand Crus here. Those who have tried these wines with me will know that these are wines that you truly need to taste to be awed. Unfortunately I’m unable to open a bottle for every one of you so you have to trust me when I say these are some of the most outperforming Gevrey villages around. This entry was posted in Uncategorized on February 19, 2016 by WEA Wines. 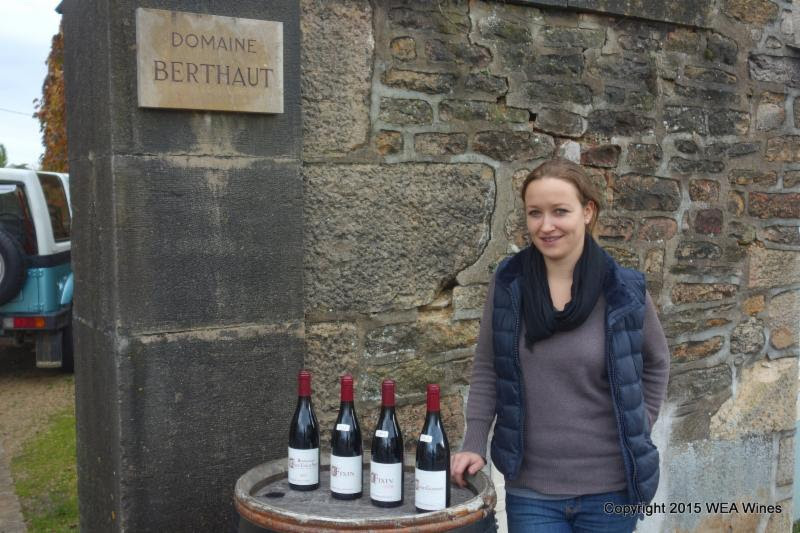 Domaine Berthaut is exactly the kind of winery WEA love to work with. Firstly, there’s a young and very talented new generation taking over the winery – 28 year old Amélie (only child of Denis Berthaut). Secondly, the wines come from an off-the-beaten path village – Fixin, north of Gevrey and hence still provide tremendous value. Lastly, and of course most importantly, the wines here are SUPERBE! This is the second vintage we’ve brought in the wines and our range has widened significantly. We start with a basic Fixin (our new housepour) and then two single vineyard Fixins – Les Crais and En Combe Roy. The former from an average of 40 year old vines and latter from 55 year old vines. Further up the hierarchy is the Premier Cru of Les Arvelets. From the next village we have the Gevrey-Chambertin “Clos des Chezeaux”, a monopole right below Les Cazetiers and the Premier Cru of Les Cazetiers itself. Moving much further south we have the Vosne-Romanee which comes from 2 plots – Les Reas and Au Dessus de la Riviere. Seriously there hasn’t been any “benchmark” producers in Fixin till Amélie came into the picture. 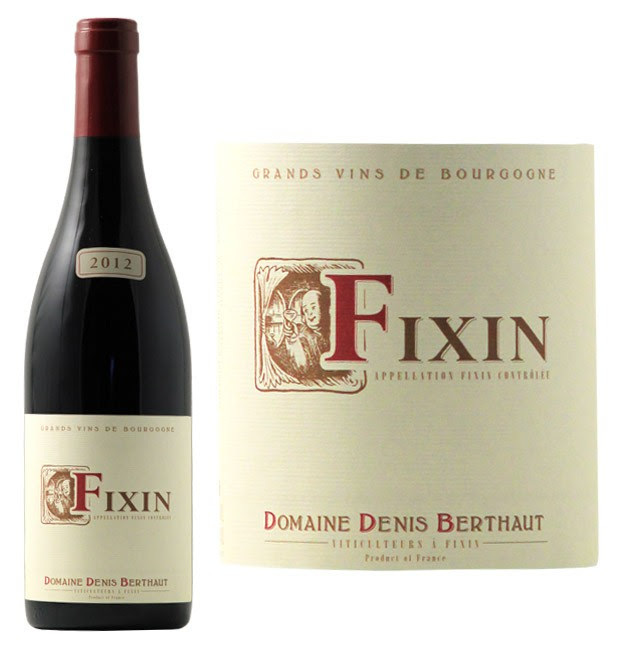 I’ve been visiting Burgundy for many years but visiting their Domaine last year was my first time entering the village of Fixin! Recently I’ve heard many complaining about the high prices of Burgundy but these wines will show you otherwise. Sign up for our mailing list or drop us an email at weawines@gmail.com to get the offer. 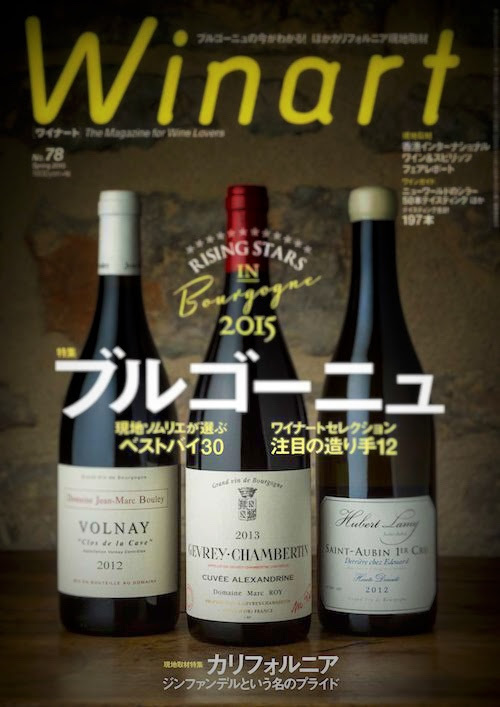 This entry was posted in Uncategorized on February 9, 2016 by WEA Wines.